It was a breakthrough year on the puppy mill issue in 2008. The HSUS conducted a series of major investigations into all facets of the puppy mill issue and we raided mills throughout the country, and even three in Canada. We passed legislation to ban the import of dogs from foreign puppy mills with an amendment on the federal Farm Bill. 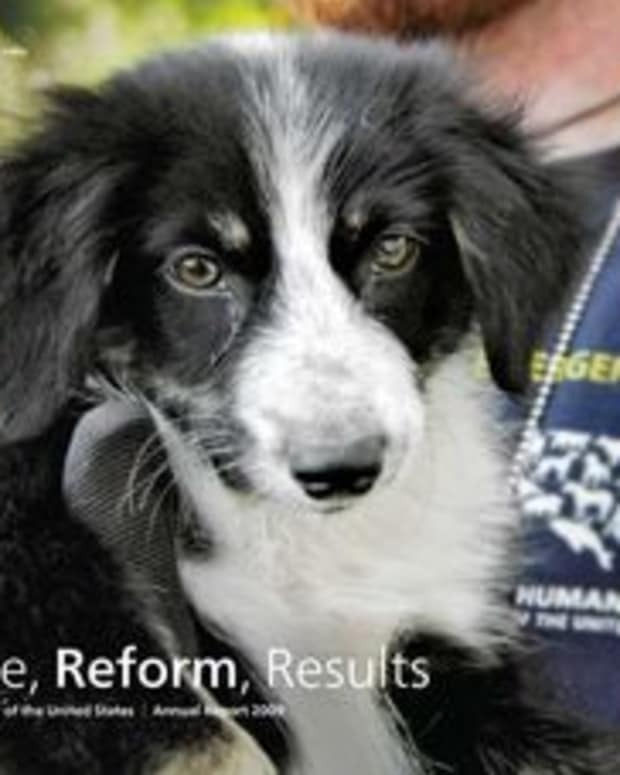 The HSUS worked with other groups to pass legislation in Pennsylvania—“the puppy mill capital of the East”—to crack down on the thousands of operations there, and we made legislative gains in Louisiana and Virginia as well. We launched our Petland campaign asking the company—the largest retailer of dogs from puppy mills—to halt its sales of the victims of mills, and activists targeted other pet stores across the country with demonstrations. And Oprah Winfrey devoted a full show to the issue, and did a series of follow ups. All of that was a prelude to this year’s surge of activism on the issue. We are soon to introduce federal legislation, the Puppy Uniform Protection Statute (PUPS), or “Baby’s Bill,” named after an elderly dog rescued by animal advocate Jana Kohl. We helped craft a class action lawsuit against Petland (and this weekend we have our third nationwide Petland demonstrations). And in 2009 state legislation sessions, The HSUS worked to introduce anti-puppy mill bills in more than 30 states. Just last week, legislation was signed into law in Washington state. These bills should have been met with universal approval from any individuals or groups concerned about the decent care of animals. But remarkably, some breeders—driven by a false paranoia about onerous regulations (which would not even apply to them)—have worked vociferously against the bills in a few states. Oddly enough, they joined with groups like the NRA and the Farm Bureau in opposing modest anti-cruelty provisions in Indiana, North Carolina, and a few other states. The NRA doesn’t like our efforts to ban canned hunts, and the Farm Bureau doesn’t like our efforts to restrict gestation crates and other forms of intensive confinement, and they’re just being petulant in opposing the puppy mill legislation. I am astonished that any responsible breeder could oppose these provisions, and the American Kennel Club’s consistent opposition to these bills is more than disappointing. And it should be an embarrassment to NRA and Farm Bureau members that their hired political leaders would act as apologists for puppy millers and impediments to sound policy. I asked Anne Sterling, our Indiana state director, to give an account from the halls of the legislature in Indiana. I think the American public needs to know who is defending these despicable puppy mills and how these battles are playing out. 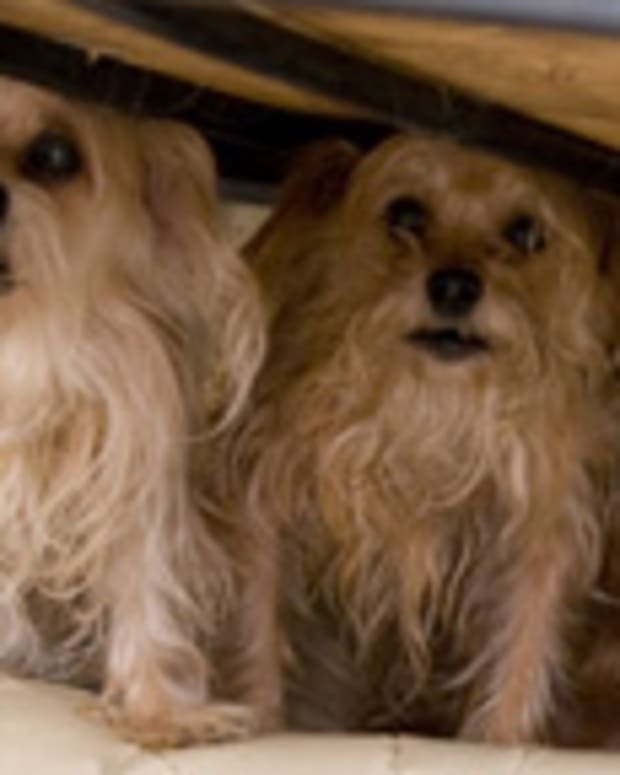 It’d been a long and tumultuous battle, but shortly after 11 p.m., a little more than a week ago, the Indiana legislature enacted a bill to provide much needed relief to neglected companion animals and dogs living in squalid puppy mills throughout the state. At the eye of the storm was H.B. 1468, sponsored by a true champion for animals, Rep. Linda Lawson. The bill required commercial puppy producers to provide their dogs with basic standards of care such as proper ventilation, lighting, exercise, and ensuring mother dogs were only forced to produce one litter of pups per year instead of two. 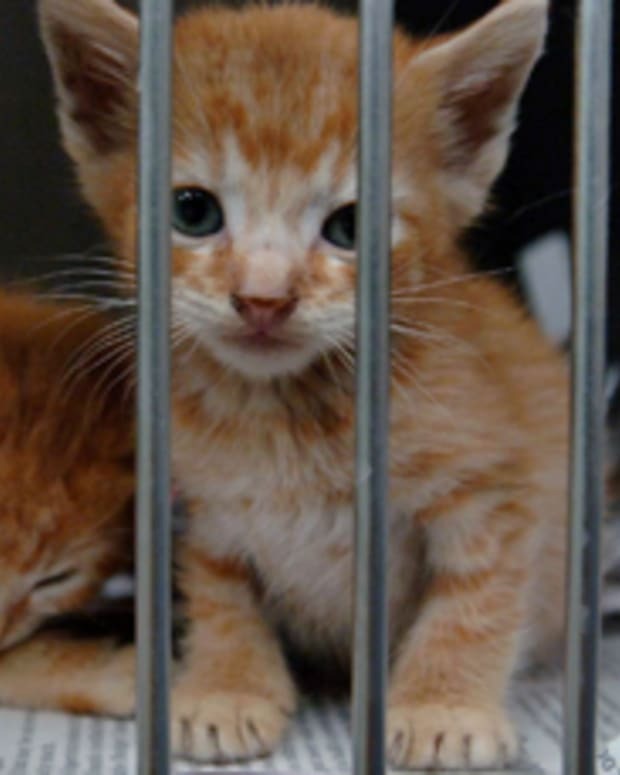 And it included desperately needed revisions to the anemic Indiana anti-cruelty code, under which it’s been nearly impossible for law enforcement to prove even the most severe cases of animal neglect. The bill sailed through the House with a vote of 81-14. When it passed over to the Senate, however, groups including puppy millers themselves, the American Kennel Club, the Farm Bureau, and even the National Rifle Association presented increasingly acrimonious opposition—often aiming their barbs directly at The HSUS rather than the bill itself. Claiming erroneously that the puppy mill bill could somehow apply to farm animals, the state’s Department of Agriculture even went so far as to distribute anti-HSUS literature from the iniquitous Center for Consumer Freedom, a front group for animal use industries. Incredibly, accusations even flew that The HSUS had had the teeth removed from a puppy mill survivor. And opposition groups had a champion in staunch NRA supporter Sen. Brent Steele, who sought to eviscerate the bill with weakening amendments. Fortunately, the duplicitous ploys of animal industry loyalists were drowned out by overwhelming support from animal loving Hoosiers. 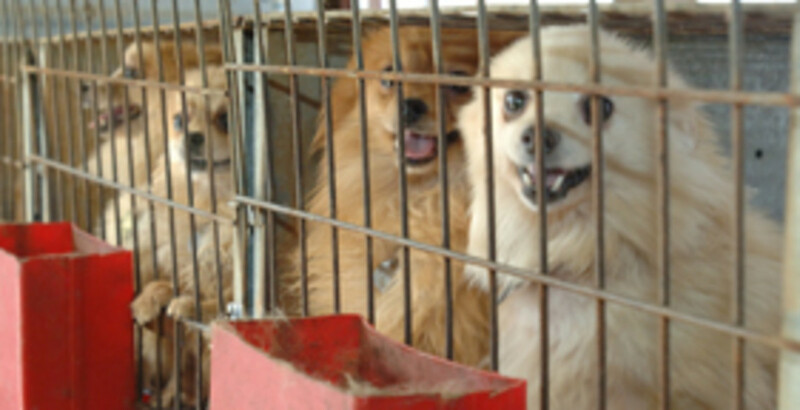 Twelve newspaper editorials called on the legislature to crack down on puppy mills. A Mason-Dixon poll in mid-March revealed that over 80 percent of Hoosiers supported the legislation, and more than 90 percent wanted the General Assembly to take action to protect animals. Advocates made thousands of phone calls, wrote emails, met with their legislators, and worked tirelessly to win the battle. As session drew to a close, a conference committee reached compromise and H.B. 1468 passed unanimously through the House and flew through the Senate with only four “no” votes. While there is still much work to be done, we’ve moved several steps ahead for animals in Indiana.